The experienced personal injury attorneys at Elder Brinkman Law specialize in personal injury law and a wide range or corresponding legal issues related to accidents, negligence, insurance and workers compensation. Our Michigan personal injury attorneys know that dealing with a personal injury can be frustrating, stressful and expensive — so we are ready to help you get the financial compensation you deserve. If another party’s negligence caused your injury, a Michigan personal injury attorney can assist you in being properly compensated for your injuries. Personal injury law covers any harm caused to a individual, — a broken bone, cut, bruise or other bodily injury, as well as any invasion of a personal right, including mental suffering and false imprisonment. In addition, any injury or worsened preexisting injury that arises when you are at work can also be referred to as personal injury, and you may be eligible for workers compensation. 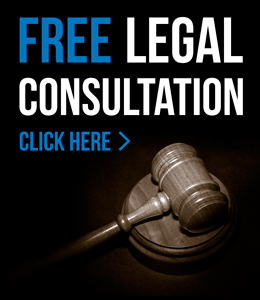 For more information about the personal injury attorneys at Elder Brinkman Law or to schedule a free initial consultation regarding a criminal charge, contact our office today or call us directly at 313.582.5800.